Progress has been made. The staging yards are now complete and work has begun on the main line. 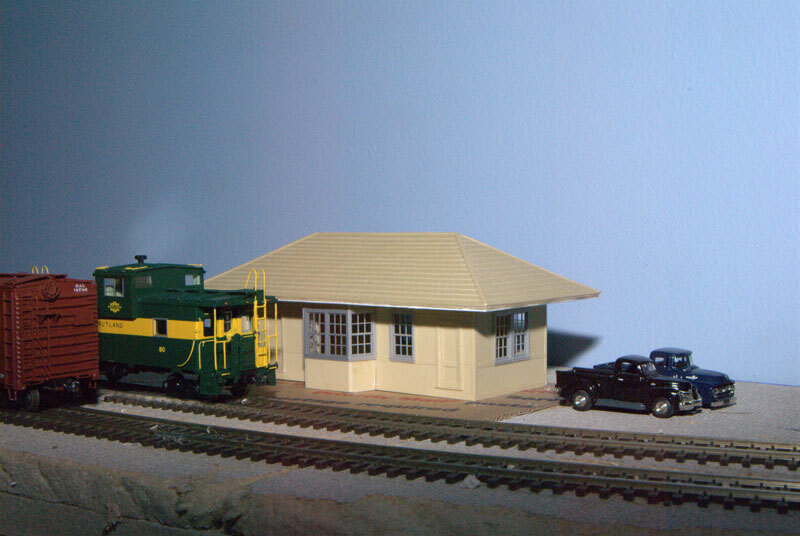 The Station is a Rutland Car Shops resin kit for the 16x40 plan station. This station isn't right for Bangor but will do as a placeholder for now. Morton Siding » « Progress!